Your personal story is inspiring. Can you share about your journey to finish high school and earn a university degree in Social Work at a later age? What dream drew you on this path? My journey to finish High School was to show a better example to my four boys; I didn’t believe that I could tell my children to finish High School and me being a dropout. I wanted to show my children the importance of an education. Also for me as a person to gain more confidence and believe in myself. As for my College Degree in Social Service Worker is because I always wanted to help people. My College degree was for me to better my life. The dream that drew me on this path was to follow my heart and make my dream come true. Writing a book was a passion I always had in my heart, when my children grew up it was my opportunity to go for my passion and write a novel. 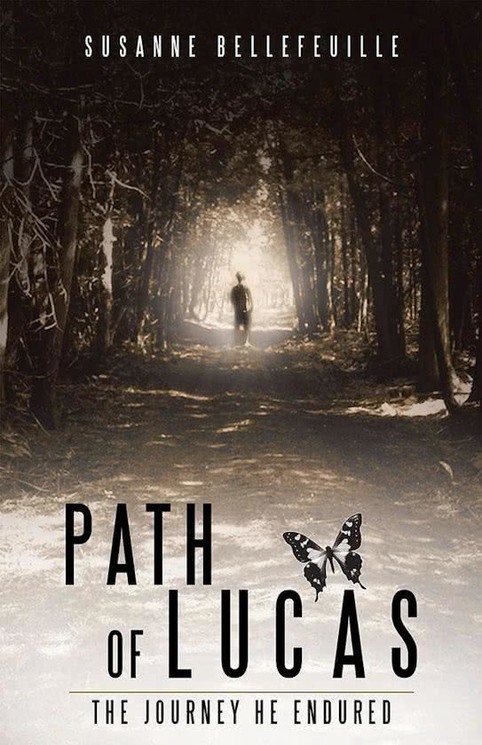 Can you share a bit about the true events that inspired the storyline in your first book, Path of Lucas? Are the characters in the book based on real people from your life? When I made the decision to follow my dream to write a novel, I needed to find a topic to write about. One day I looked in my dad’s eyes and that is when I knew there and then to write about my father’s journey. My dad is my hero and I wanted the world to know how this man kept his family together. Especially when my mom suffered with a psychotic depression after being hospitalized for almost a year. The doctors told my dad that they did everything and she was not responding, she would have to be put into an institution. My dad refused, he worked with her and she was able to come back home. It was a miracle! Yes, most of the characters in the book are based on real people from my life but in different names. Did your job as a Social Worker influence the development of your book's characters and their interactions with others? My job as a Social Service Worker didn’t influence the development of my book’s characters and their interaction with others; it was my father’s strength and love that influence me. As this is your first published book, can you share what you found most enjoyable about the writing process? What did you find the hardest? Was there anything about writing/publishing that surprised you? What I found most enjoyable about writing this book was that I was fulfilling my dream and passion. Creating a story and making these characters come alive, also because I got to spend quality time with my dad talking about his journey. What I found the hardest was learning the ropes on publishing my book: example how to create the book cover, finding editors, how to set up the book page, color and glyphs. Also reliving the past was hard but I want to help others that are going through their personal issues in life. The most surprising thing about writing was how I was able to achieve my dream from being a high school drop out, young teen mom to writing a book, also for publishing my book was the cost on self-publishing and all the work behind it. When working on Path of Lucas, how did you organize your time - writing (scheduled or as inspiration hit? ), research, marketing? 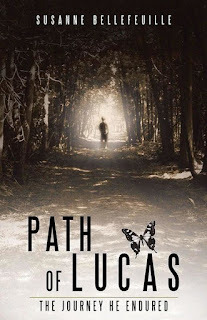 When writing Path of Lucas I organized my time in different ways, most of the time was evenings, also there were times in different places with my IPad at a mall or waiting for an appointment, my favorite time was outside in the nature on weekends. My research for my book was by computer, that is where I found different publishing companies and answers I had about putting a book together. For marketing was with Balboa, my publishing company or book events, Book Expo, Book launch. What's next for you as an author? Do you have any new titles in development? I am currently writing my second book, it will be more in depth about my mom’s depression. How she had to live with depression and how the depression crept up on her. I already chose my title for this book but I have not released it yet. 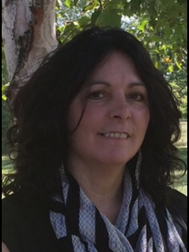 What I would like readers to know about me is that I am an ordinary person that followed my passion, my dream about the love I have for writing books. I don’t have any University degree or Major in English but I did follow my heart. Any thoughts to share with others hoping to write and publish their first book?